The TP-LINK TL-PoE POE150S Injector is used to create a powered Ethernet connection. It has one input and one output RJ-45 port, which complements the DC input connector which is then used to create a powered data connection. It is ideal for transferring data and power to devices that support Power over Ethernet (webcams), but not the device supplying the ethernet connections (some switches and the like). Its maximum output is 15.4W and 48VDC. The device can also be used in combination with the TP-Link TL-POE10R splitter. Demonstrative examples of its use can be found in the gallery. 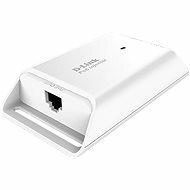 For shipping to other EU countries visit this page TP-LINK TL-POE150S. Für Versand nach Deutschland, besuchen Sie bitte TP-LINK TL-POE150S. Chcete doručit zboží do Česka? 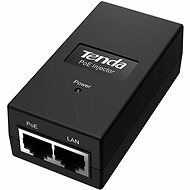 Prohlédněte si TP-LINK TL-POE150S. Chcete doručiť tovar na Slovensko? Prezrite si TP-LINK TL-POE150S. Für Versand nach Österreich, besuchen Sie bitte TP-LINK TL-POE150S. 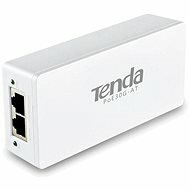 Magyarországra történő kiszállításért tekintse meg ezt a termékoldalt: TP-LINK TL-POE150S.